Apollo ATI is a natural flap ventilator that can provide both full extraction through its top flaps and weathered ventilation via longitudinal side flaps. 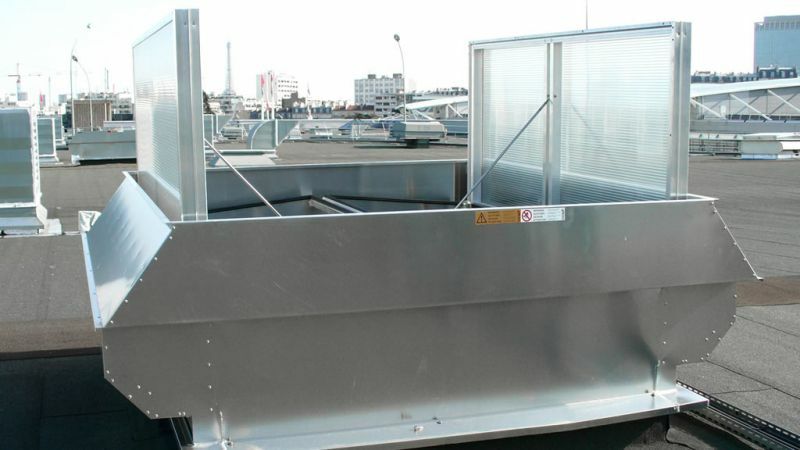 It is a dual purpose ventilator, providing both day to day and smoke control ventilation and is generally installed onto roofs, providing high level extract to most kinds of industrial buildings. Polycarbonate versions allow the entry of natural daylight. It is tested to and in compliance with EN 12101-2. It is manufactured under the ISO 9001 quality and ISO 14001 environmental management standards. Wide range of applications - Apollo ATI is classed as a dual purpose ventilator, providing both day to day and smoke control ventilation. 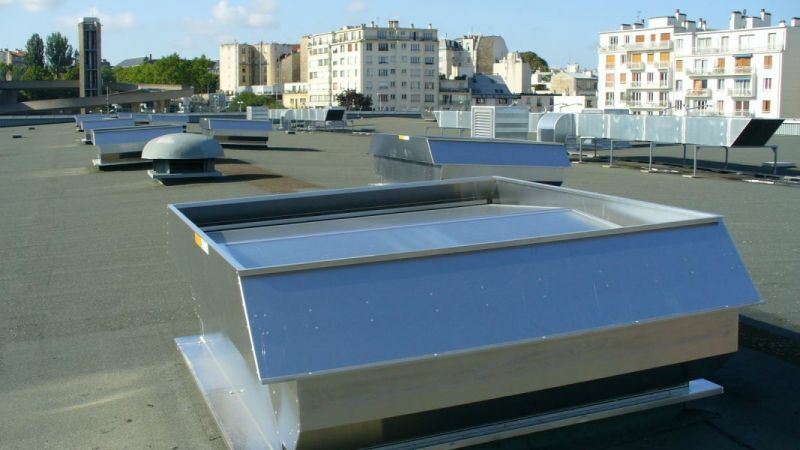 Apollo ATI is generally installed onto roofs providing high level extract. Polycarbonate versions allow the entry of natural daylight. Either pneumatic or electric controls are available. Weathered ventilation - Longitudinal flaps and deflectors set within a wind baffle provide aerodynamic ventilation when the weather is wet. Efficient and weather resistant - Apollo ATI is aerodynamically efficient. The sealing system consists of EPDM profiles which keep air leakage down to a minimum. Easy to install - Apollo ATI is delivered fully assembled to site. It has a wide range of base profiles to suit most sheeting, curb or glazing applications. High thermal performance – Apollo ATI is highly insulated and air tight, meeting or exceeding today’s energy savings regulations. Its U value can be as low as U = 1.5 W/m²K. Certified performance - Apollo ATI has been exhaustively tested and certified to EN 12101-2: 2003 in accredited third party test laboratories and is CE marked. High acoustic performance – With the aluminium lidded version, a sound reduction of up to 26.0 dB (R’w) may be achieved. Quality of manufacture - Apollo ATI is manufactured under the ISO 9001 quality standard. Each unit is given a functional test before despatch. 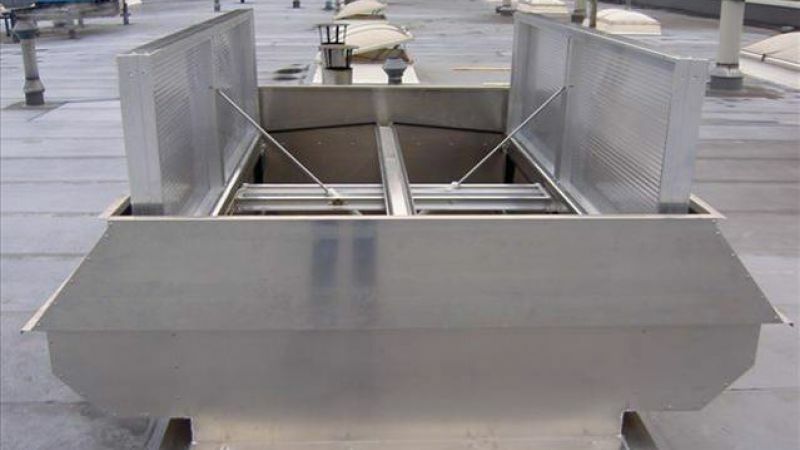 Apollo ATI provides weathered extract ventilation for most kinds of industrial buildings. From 1000mm throat width to 1900mm throat width in 1mm increments. Tested and certified as fall-through-proof in 300J and 1200J tests by an external test house.